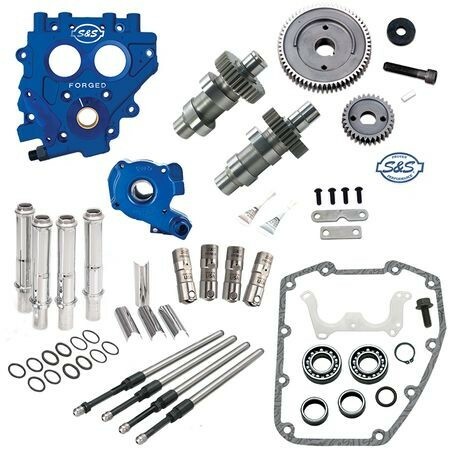 The S&S Complete Gear Drive Cam Chest Kit removes any doubt about the condition of the critical parts in the cam chest of your 1999-'16 Harley-Davidson big twin. Replace it all – oil pump, cam support plate, cams, and tappets with premium U.S. made S&S cam chest components. Upgrade to an S&S gear drive performance cam set, and don't worry about cam chain failure, or anything else in your cam chest. It’s all new and all S&S!